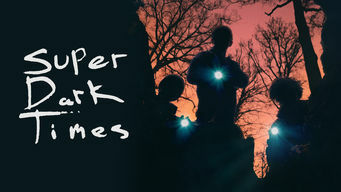 How to watch Super Dark Times (2017) on Netflix Denmark! Yes, Super Dark Times is now available on Danish Netflix. It arrived for online streaming on January 1, 2018. We'll keep checking Netflix Denmark for Super Dark Times, and this page will be updated with any changes. A tragic accident drives a wedge between two teenage boys, threatening a friendship that had seemed firm and unshakeable. A moment of recklessness slices into their bond. Now their lives are a teenage nightmare.